When the last baby boomers sign up for Medicare in 2030, they’ll have long lives ahead. A man 65 likely will live 18.3 more years and a woman 65 another 21.7 years. Unfortunately, there’s a downside. 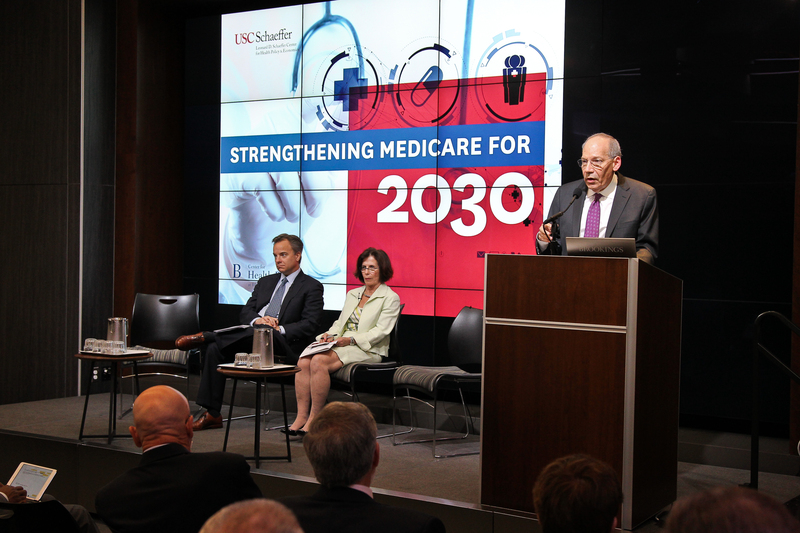 “We’ll be living longer but spending more time with disability,” said Dana Goldman, director of the USC Schaeffer Center for Health Policy and Economics, at the June 5 “Strengthening Medicare for 2030” forum in Washington, D.C. In just 15 years, 67 million people – one in five Americans – will be 65 and older. 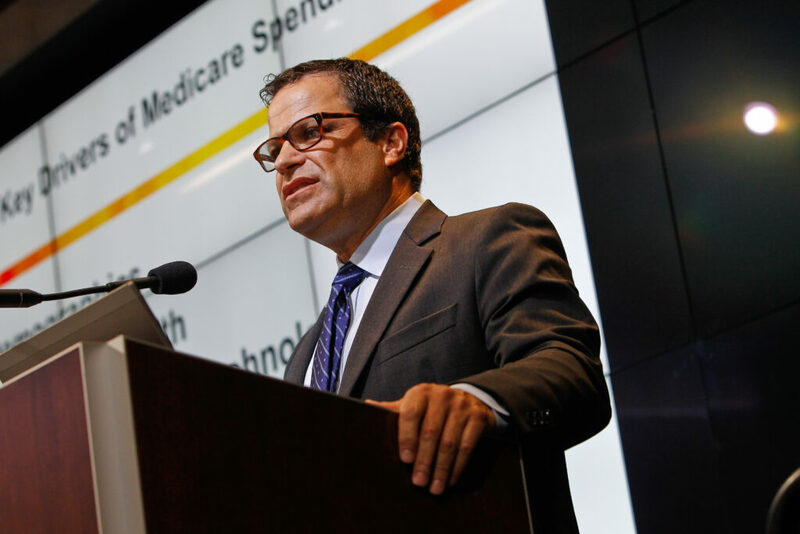 The forum, cosponsored by the Schaeffer Center and the Brookings Institution, a Washington-based think tank, kicked off a joint effort aimed at helping policymakers plan and modernize Medicare to meet impending challenges. The half-day session brought together a distinguished list of economists and former administrators of the Centers for Medicare and Medicaid Services (CMS) and its predecessor, the Health Care Financing Administration (HCFA), to focus on some of Medicare’s thorniest issues, including the wealth and poverty of beneficiaries, choice and competition among plans, program design and provider payment reform. “What we didn’t anticipate was resistance to turning that data into information that could be used to improve medical practice and inform health care policy,” said Schaeffer, who is a member of the boards of trustees at both USC and Brookings. 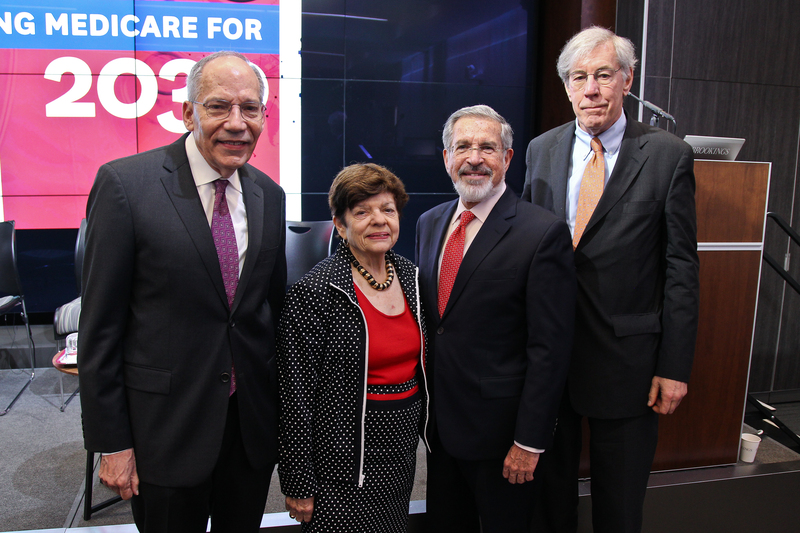 Forum speakers included USC Price School of Public Policy Professor Paul B. Ginsburg, the Norman Topping Chair in Medicine and Public Policy, and Gail Wilensky, senior fellow at Project HOPE and a former HCFA administrator. Not only will more people be disabled for a longer time, they’ll also face slightly fewer healthy months of life than 65-year-olds did in 2010. A larger number of Medicare beneficiaries in 2030 will have more chronic conditions – such as hypertension, diabetes and heart disease – than beneficiaries did in 2010, Goldman said. Researchers at USC used the Future Elderly Model (FEM), a simulation model that Goldman and his colleagues developed, to create the snapshot of changing demographics and spending for Medicare from 2010 and 2030. FEM is the centerpiece effort of the USC Roybal Center for Health Policy Simulation. Researchers also use the FEM to analyze the declining progressivity of Medicare, that is, the degree to which higher-income people get more benefit from Medicare than do lower-income people. Such projections “are raising warning flags,” said Goldman. “The goal for public policy and for our health care spending isn’t just to increase life expectancy” but to increase years of healthy life for all. “Otherwise the encouraging recent gains in participation in reformed payment could stall,” Ginsburg says.